This lovely traditional chalet located in the Mussillon area of Méribel is much appreciated by our guests with its warm welcoming atmosphere and comfortable interior furnishings. It is a gentle 10 minute walk to the centre of the resort and the ski lifts; however our ski minibus service will whisk you to the slopes at the start and end of the day. The cosy living area with TV and DVD player has large floor to ceiling picture windows offering fantastic views of the surrounding peaks. There is also a terrace outside. The chalet has everything that you need for a comfortable stay from heated boot warmers as an early treat for your feet, a sauna to help relax any aching muscles at the end of the day and smart bedrooms with en suite facilities, most of which have a balcony. We update Chalet Oxalys's details often, but facilities do change. e.g. some extras listed by the supplier as "free" or included might only be for the first time you use them, or for one time per party, then charged for further use. If any specific feature is essential to your holiday, make sure you ask us to confirm the details of it before you book your holiday. Meribel & Mottaret lift pass price last reported as €212 (adult 6 day). 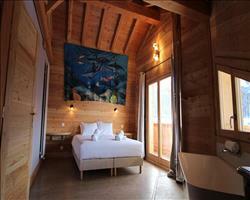 Ask for a quote when booking Chalet Oxalys. 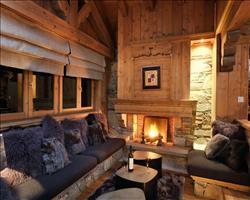 Chalet Mariefleur Meribel & Mottaret France, Gatwick to Geneva 19th April. 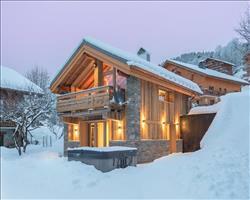 Chalet Etoile des... Meribel & Mottaret France, Belfast Int to Geneva 14th December. 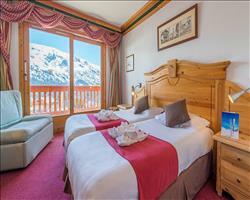 Chalet Hotel Les ... Meribel & Mottaret France, Newcastle to Geneva 14th December. 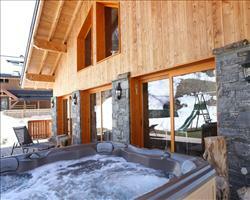 Chalet Laetitia Meribel & Mottaret France, Gatwick to Grenoble 11th April. 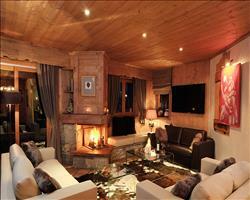 Chalet Marielaine Meribel & Mottaret France, Gatwick to Geneva 19th April. Chalet Aline Meribel & Mottaret France, Gatwick to Grenoble 11th April. 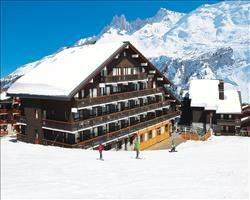 Chalet Hotel Alba Meribel & Mottaret France, Gatwick to Chambéry 12th April. 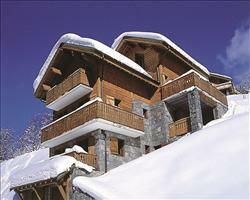 Chalet Yukon Meribel & Mottaret France, Gatwick to Geneva 19th April. 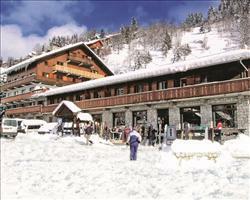 Chalet Hotel Tare... Meribel & Mottaret France, Gatwick to Grenoble 15th December. 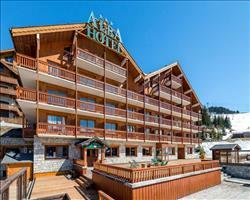 Chalet Hotel Alba Meribel & Mottaret France, Stansted to Chambéry 15th December. "Traditional alpine catered ski chalet"
It's a delightfully rustic chalet and is located in the quieter Mussillon area of Meribel, away from the hustle and bustle of the resorts centre. You can make the most of your days on the slopes as there is a free minibus service to whisk you to the lifts in the mornings, and the chalet's only a ten minute walk from the bars and restaurants in the centre. There are incredible views over the valley from the living room and the terrace, and any aches and pains from a day on the slopes swiftly disappear in the chalet’s sauna. Do remember to check the chalet description for details of facilities like sauna etc as the spec of a property can change and the chalet description will be updated to reflect this, where as this review is being written in 2014 and won't be amended.